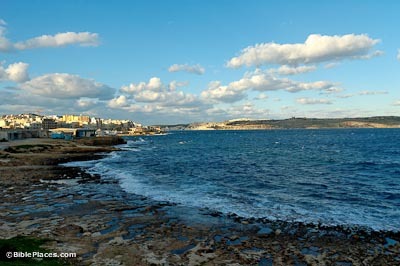 The northwest coast of Malta is characterized by alternating bays and headlands. 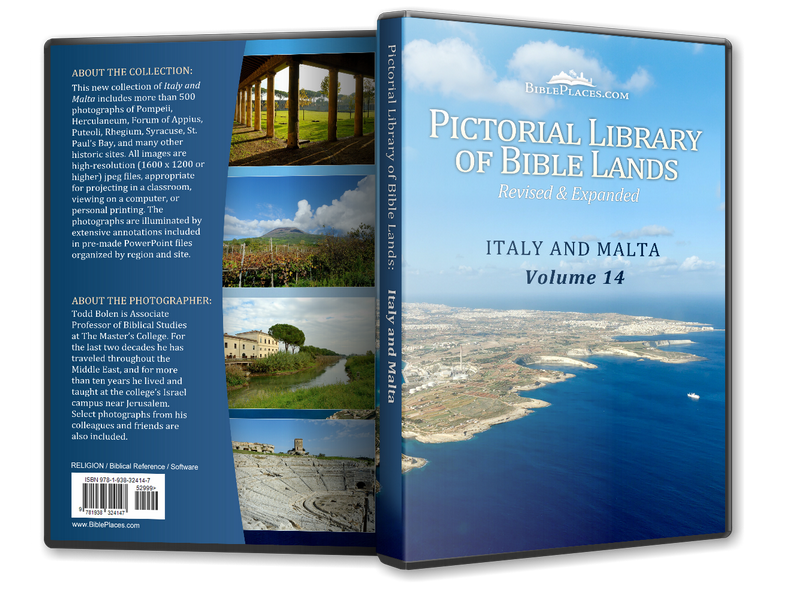 Between the Mellieha Ridge and Wardija Ridge, the Pwales Valley opens onto St. Paul’s Bay. 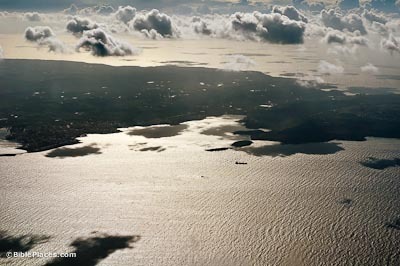 The towns of Bugibba and St. Paul’s Bay lie along the bay’s southern shore. They represent a mix of traditional fishing village alongside newer hotels and apartments. Luke recounts in Acts 27-28 how Paul’s ship was lost at sea for two weeks during winter storms. 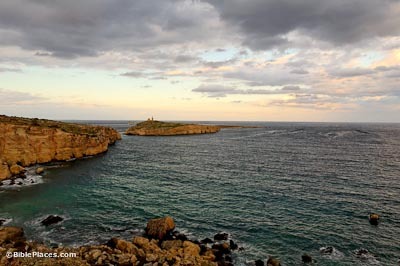 Eventually, the ship ran aground on the island of Malta and was dashed to pieces by the surf, but all of the occupants survived and made it to shore. St. Paul’s Island, an uninhabited, rocky islet at the entrance to St. Paul’s Bay, is thought to be the site where the ship wrecked. Acts 27:41 states the ship ran aground on a piece of land “with sea on both sides.” This could refer to a sandbank, a reef, a headland jutting into the water, or some other similar feature. 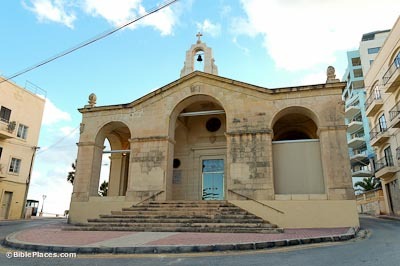 Within the town of St. Paul’s Bay, St. Paul’s Shipwreck Church is located along the water’s edge. The church is also known as St. Paul’s Bonfire Church and commemorates the traditional site where the shipwreck survivors, including Paul, swam ashore and a bonfire was built for them. The church was constructed in the 14th century, but was rebuilt after a bomb destroyed the original building during World War II.